Preheat oven to 350 degrees F. Place brie on parchment-lined rimmed baking pan and lightly scour in a crisscross pattern with a sharp knife. Transfer brie to oven and bake 8 to 10 minutes or until inside of cheese is softened, but outside remains in tact. 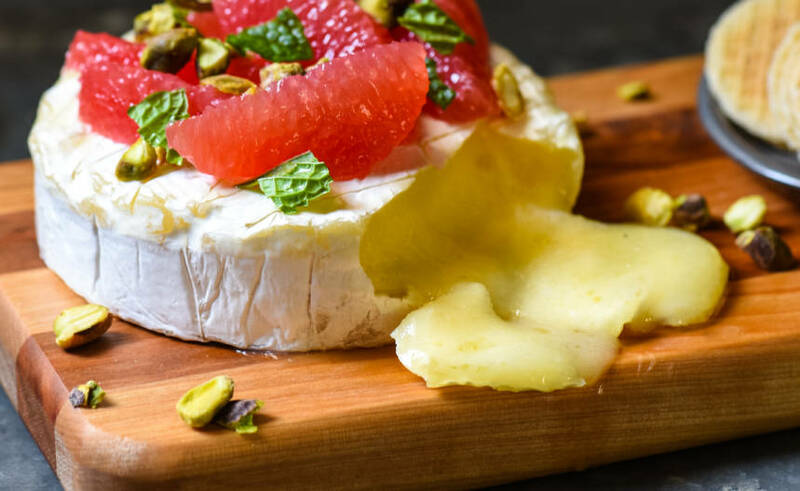 Transfer brie to serving platter; top with grapefruit, pistachios and mint. Serve immediately with crackers and/or bread. Winter Sweetz Texas Red Grapefruits are brought to you by Lone Star Citrus Growers. Our farmers work year-round ensuring the healthiest trees to yield the best quality grapefruit. Lone Star Citrus Growers are also proud members of GO TEXAN. When you see the GO TEXAN logo, you know you are getting the best the Lone Star State has to offer!